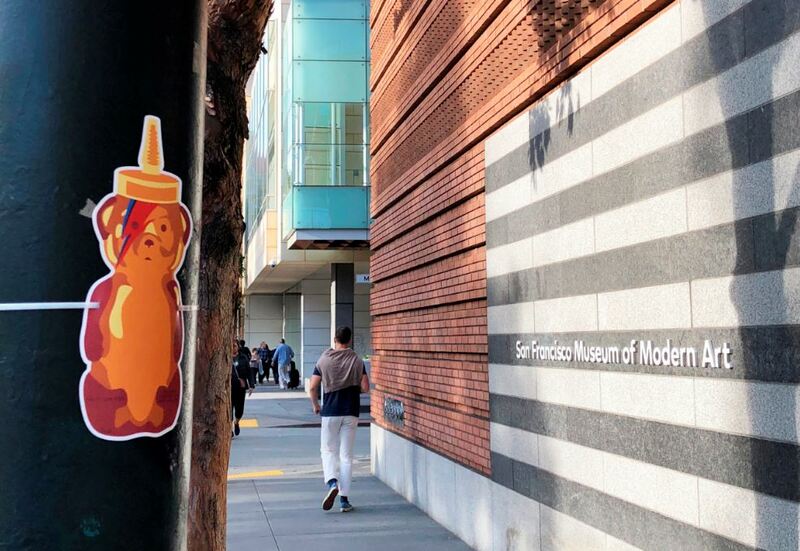 You may have noticed walking to work this week that there are hundreds of honey bears hung on lampposts throughout the SOMA district of San Francisco. What are they doing there? 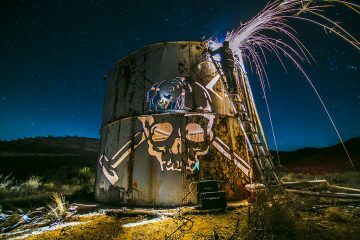 They’re a mixture of guerrilla marketing, street art, and social subversion. The artist and his gang of conspirators didn’t just decorate the streets with vinyl and honey for nothing, they do have a bit of an agenda. 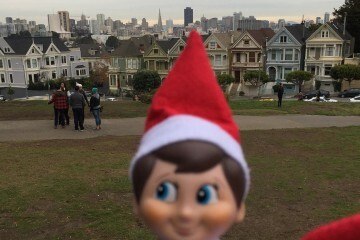 I called up the culprit known as fnnch to ask him his reasons for putting up some 450 honey bears in our city. 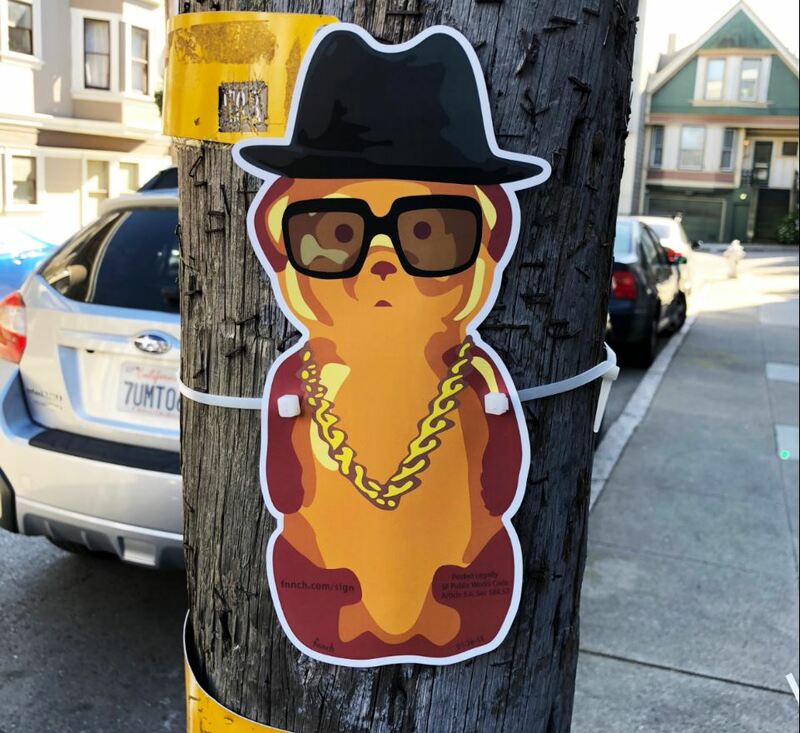 Honey Bears on every major block from Market to Harrison and from Embarcadero to 5th. The project is about three main things. 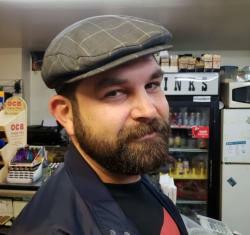 First, it’s about opening up a conversation about public art on our streets, fnnch thinks we as a city should be more open to allowing artists to put work up. 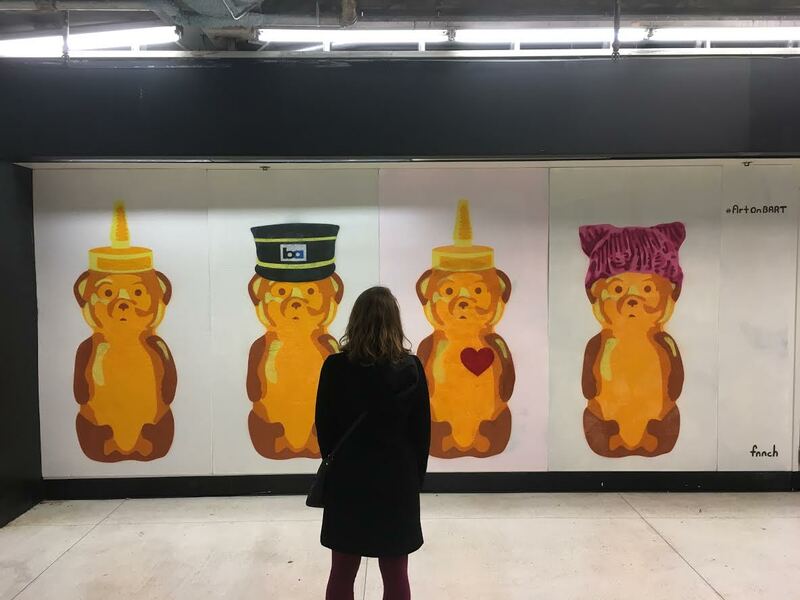 Secondly, its’ about decriminalizing street art and artists, and third, it’s about an artist promoting their work…of course, silly. fnnch and his crew took painstaking steps to make sure the bears don’t violate public statutes. For example, they are zip tied to poles not glued or taped, so they are easily removed. 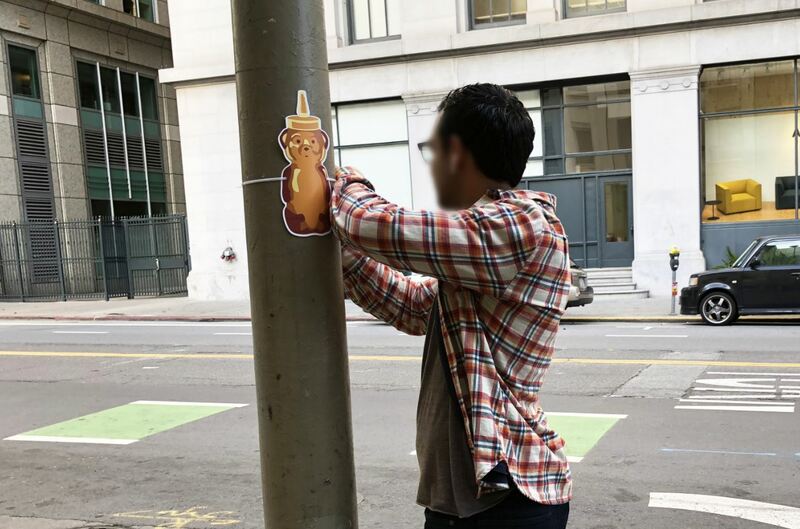 Also the signs are mostly placed on poles sanctioned for postering by the city, and they are carefully placed to face pedestrian traffic and not car traffic for safety reasons (so that drivers are not distracted or confused by the bears). See SEC. 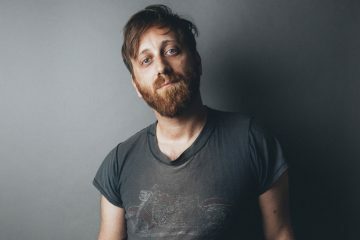 184.57. SIGNS ON PUBLIC PROPERTY PROHIBITED; EXCEPTIONS for more info. If the city simply decriminalized the act and made the art easily removable they would save a lot of money and beautify our city in the process. 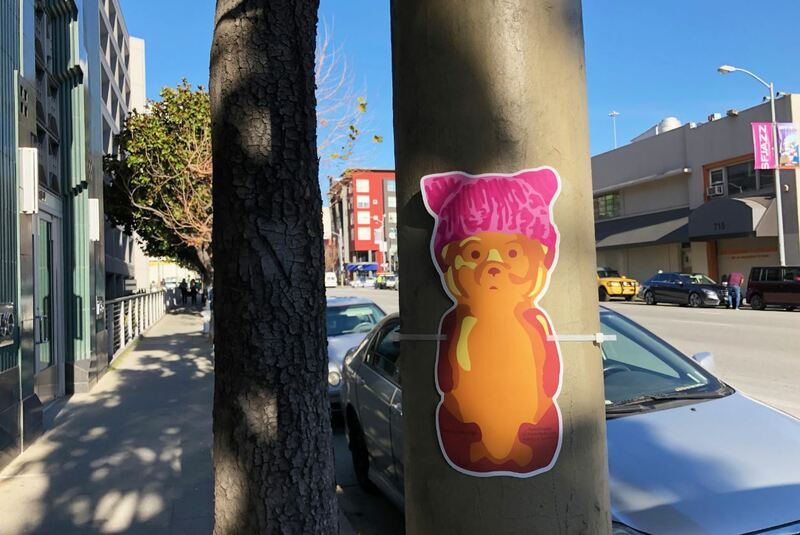 The artist has started a petition to decriminalize street art stickers and wheatpaste and reduce them from misdemeanors to infractions. In his words “the laws in SF against street art are more strict than in the rest of California, and it is unfair.” The current laws on the books make it so every count of a person putting up a sticker is a misdemeanor offense, fnnch wants to make them an infraction, which is more like a traffic ticket than a crime on your record. He quotes the National Institute of Justice in his argument “Increasing the severity of punishment does little to deter crime” and “the certainty of being caught is a vastly more powerful deterrent than the punishment.” The argument put simply is this; street artists are almost never caught anyway, let’s stop chasing them around and give them a forum instead, it will be cheaper and much better for the city in the long run. If you’d like to read more about this checkout fnnch’s blog post or follow him on Instagram. 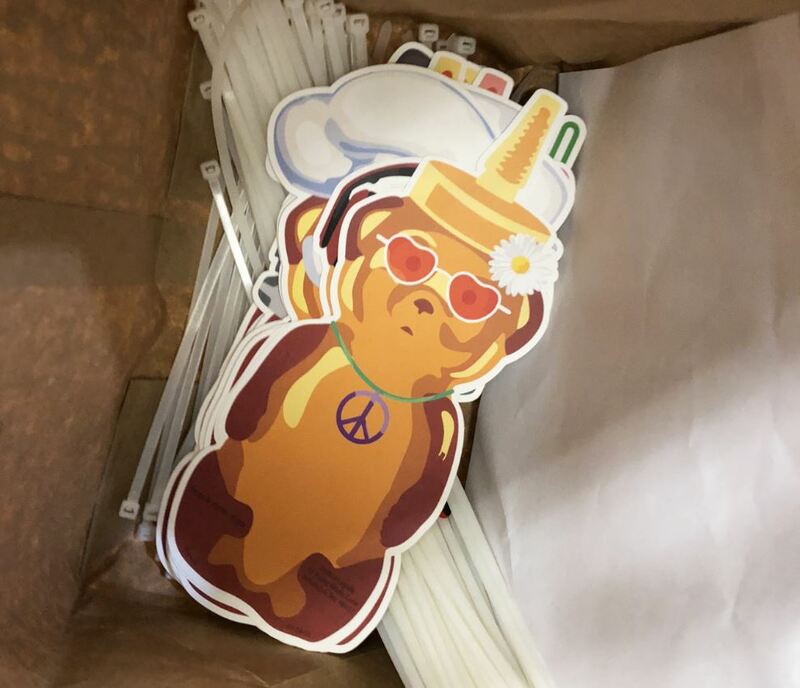 And here’s the petition to sign if you’re interested in the conversation about decriminalizing stickers in SF.